Bengali Current affairs book by Nitin Ghosh pdf available on our site. This is a good book for current affairs general knowledge and important for any kind of Competitive Examination. Most Of the students search on Internet Bengali current affairs book.So this book is most important for you. Today GK Solve share an important Current Affairs book by Nitin Ghosh.PDF book available on our website. Details of pdf book and download link are given below. You can download this pdf book easily & free of cost. 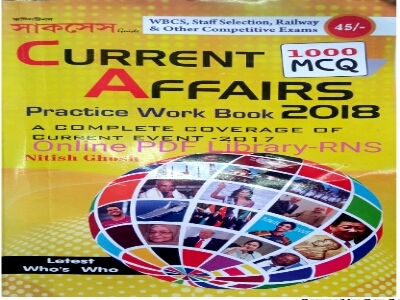 Bengali Current Affairs Book pdf download link below here. Hope, this post is really helpful to you. Disclaimer: GK Solve is not the owner of this pdf book and not to scan. GK Solve collected this pdf book on social media Internet.If Any problem from publisher or anyone, please contact our email swadeshgayen@gmail.com. We shall remove the pdf link quickly.